The Myocarditis Foundation will once again host a Family Support Meeting at the Warwick Hotel. 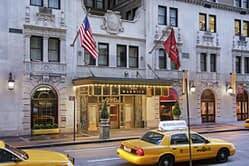 This will follow our 4th Annual Myocarditis Foundation Gala which is being held at the Mandarin Oriental Hotel on Thursday, June 20, 2019. Although the final details have not been completed, there will be a Panel Discussion with members of our medical board and medical advisory board that day. 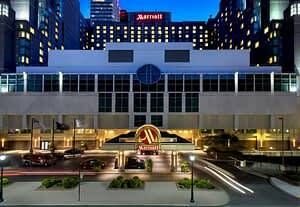 A welcome dinner will be held on Friday evening and the meeting will be held on Saturday, September 14th at the Downtown Marriott in Philadelphia. For any new attendees, please reach out to me at your earliest convenience for more information and/or questions regarding our events. I will be sending out notices with final details to all prior attendees and to those that have provided the foundation with an email/phone number or address. If you are not certain that I have your information or if it needs to be updated, please contact me at the email listed below. I am also including my telephone number. And of course with any questions you may have regarding any of the events. The agendas will be created based on prior feedback and suggestions from past attendees. We are looking forward to see our old friends and meet new ones and just being together again at whichever event you decide to attend.